The Metate is a great historical tool to finely grind corn to make tortillas or atole. It can also be used to grind seeds, dry chiles, and spices. Length 13.5in, Width 10in, and Height 8.75in, with the grinder measuring 8.5in. 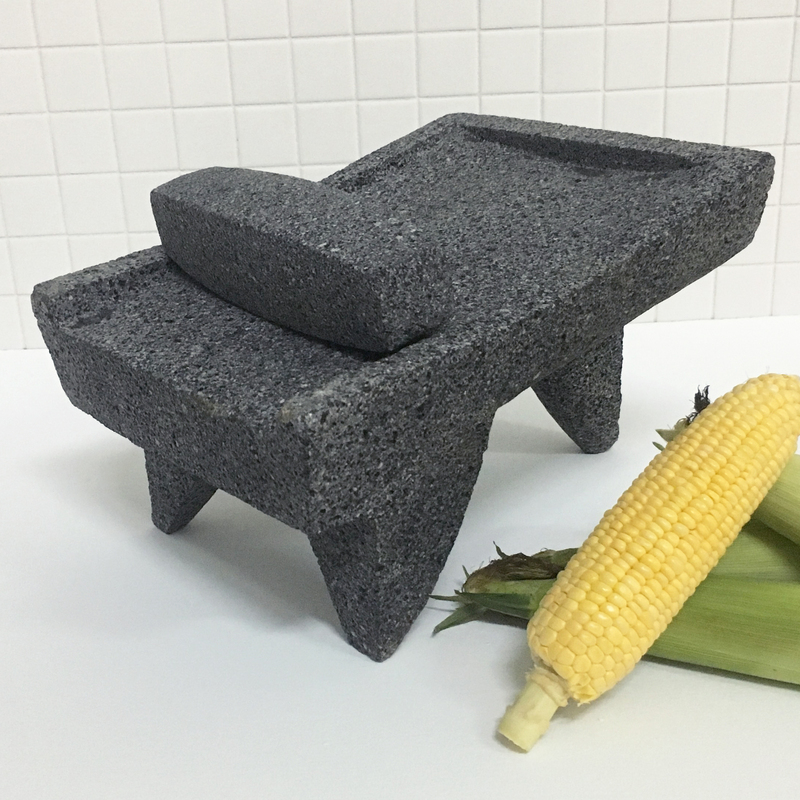 The Metate we carry is completely hand carved by our artisans in Mexico from a single block of the best quality basalt volcanic rock through a laborious chipping process. Will last many years with proper use and care. Completely natural and safe, contains no toxins or lead.